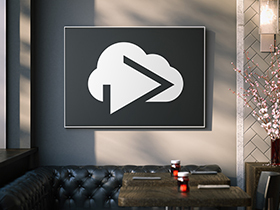 Use CloudShow to power a menu board at your restaurant, a promo screen in reception, an analytics dashboard for production, or anything else you can think of. Choose from over 60 apps to get started in no time. Pick from image slideshows, video streaming, social apps, and much more! Use detailed schedules to show different content at different times of the day, or different days of the week. Use templates to simplify your device management. Create a template and use it on multiple devices with one-click. Extend your sign's layout with widgets. Widgets can overlay extra information on your sign, like the time, date, weather, and more! Update your device's configuration and your digital sign is updated automatically. There's nothing to update or install each time, it works like magic! Manage your devices from anywhere in the world. Need to update a sign while you're travelling? No problem, it's just a few clicks away! CloudShow is completely free to use for one device, and very affordable to use with multiple devices. Try CloudShow for free! Try CloudShow today, it's completely free for one device! Need more devices? Try our 60-day Enterprise trial and see if it fits your needs. Get started today and see what everyone has been talking about! Try the Interactive CloudShow Demo! 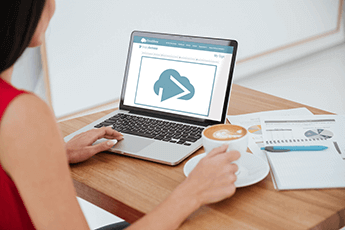 Create Your Free CloudShow Account! "I found CloudShow after I installed Display Fusion for my three monitor setup. This is fantastic software! Thanks so much for some really unique products!"